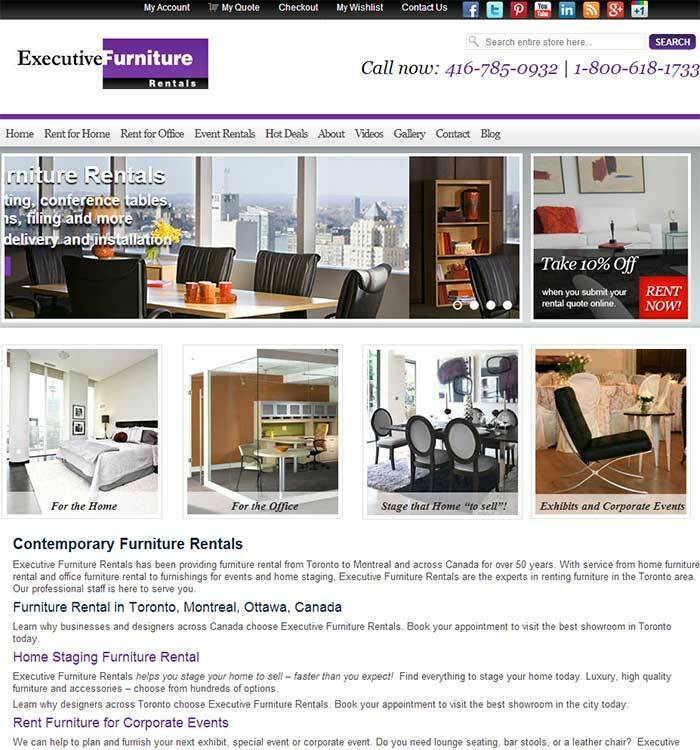 Custom development for a leading Furniture Rental and Sale company in the Toronto Area. The website offers hundreds of furniture items for rental and sale for corporate and Government. There is a custom quote feature where you get the pricing for the suggested features.